A bride's big day is a major occasion indeed, so it seems fitting that she'd want a unique look for such a momentous occasion. Going vintage is a great way to secure an ostensibly one-of-kind piece for a wedding. That said, it's not necessarily as easy as going the modern route—the hunt for The One can be arduous (albeit thrilling), but don't let that deter you. We're here to hopefully make the process a little easier. Ahead, we're spotlighting eight of the best shops to score a simply sublime vintage dress for a wedding. Etsy is a goldmine for vintage and vintage-inspired pieces from all decades. The price points run the gamut (from under $100 to well into the thousands), so prepare to do some digging. Get very specific in your search keywords to narrow down the results. This premier bridal boutique on Sunset Boulevard in L.A. soft-opened in fall 2016 and has been a fashion-girl favorite ever since. Carrying designer labels like Halston, Oscar de la Renta, and Ossie Clark, the store houses a host of vintage treasures from the '50s to the '90s. Note that the boutique is by appointment, so request one online. Located in Burbank, California, this shop is one of many vintage stores in the San Fernando Valley but conveniently also sells online. Unique Vintage carries a range of sizes and styles (not to mention accessories) to suit myriad bridal needs. With boutiques in NYC and L.A., Shareen is a bucket-list destination for vintage enthusiast. In addition to racks on racks of retro treasures, the store carries a curated bridal collection featuring vintage-reworked and vintage-inspired gowns. Spoiler alert: They're all gorgeous. 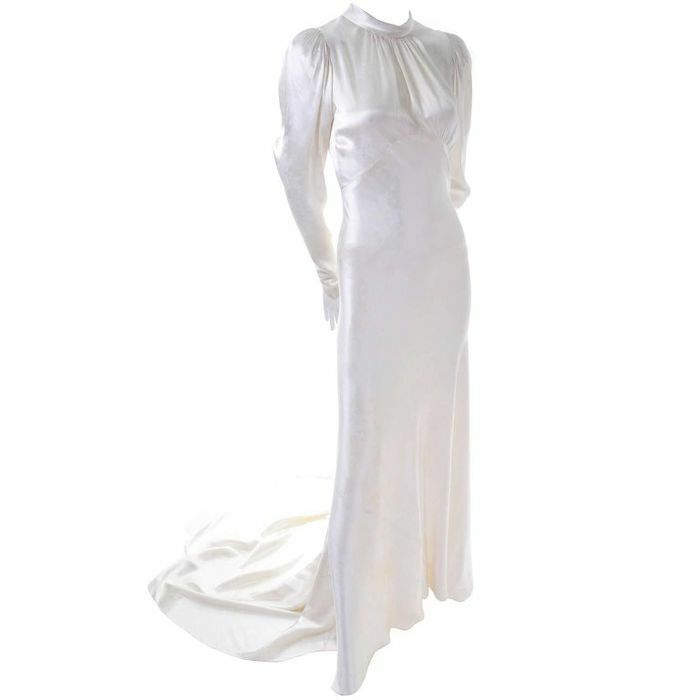 This online boutique is filled with gowns from the Edwardian era to the '80s (the site makes it super easy to browse by decade). Even better are the price points—most offerings hover in the $200 to $300 range. Not bad for a unique piece for your big day. Adored Vintage is an online boutique filled with romantic, ethereal pieces dating all the way back to 1910. The wedding section features floaty frocks in lace and gauze, perfect for a bohemian summer ceremony. If you're looking for even more unconventional wedding dress options, we have you covered too.